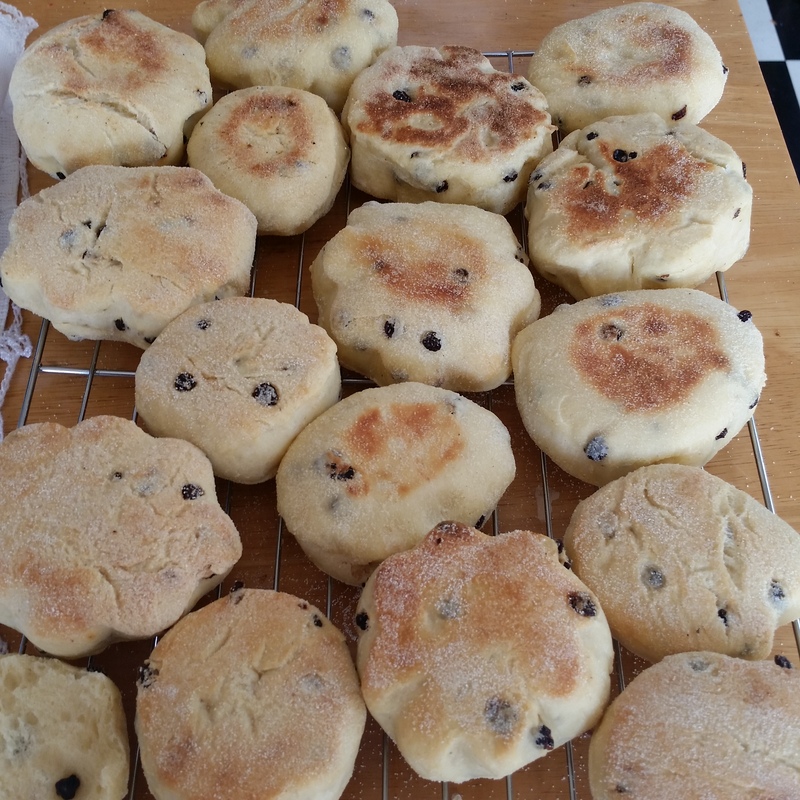 Jeannie's Kitchen: The Traditional English Muffin..or is it American? 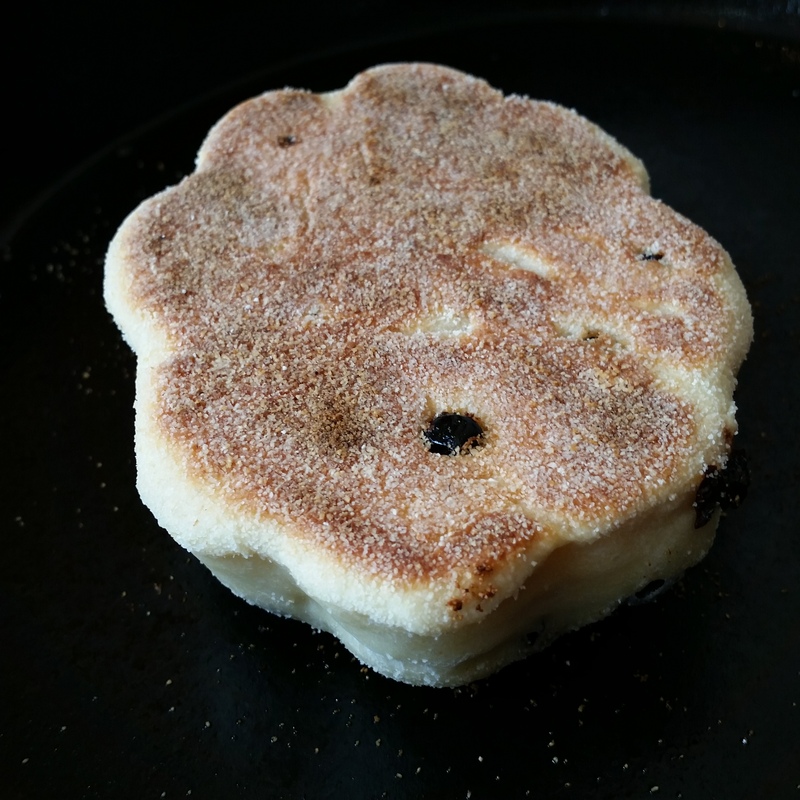 Traditional English muffins are small yeast breads; flattish circles with a gritty surface, torn apart rather than cut and usually toasted. 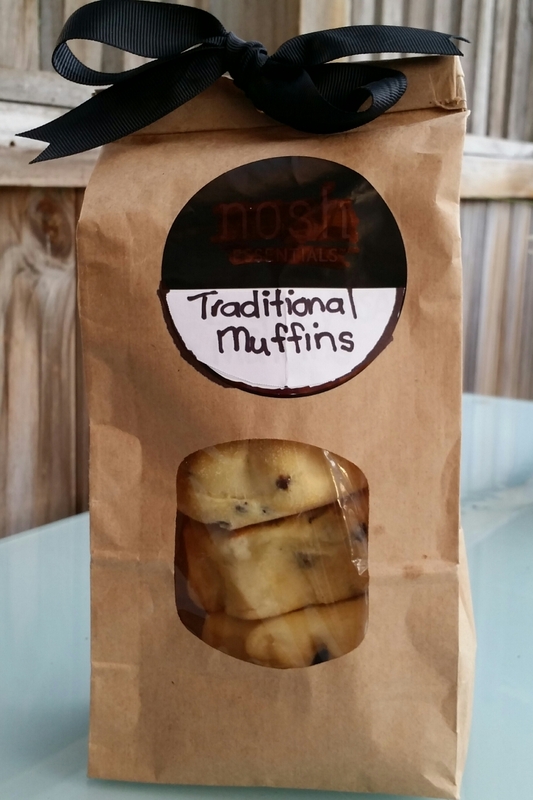 But perhaps they should be Traditional American muffins - not English muffins. To tear apart it's best to first cut a small slit with a knife then use your fingers to gently tear in half. 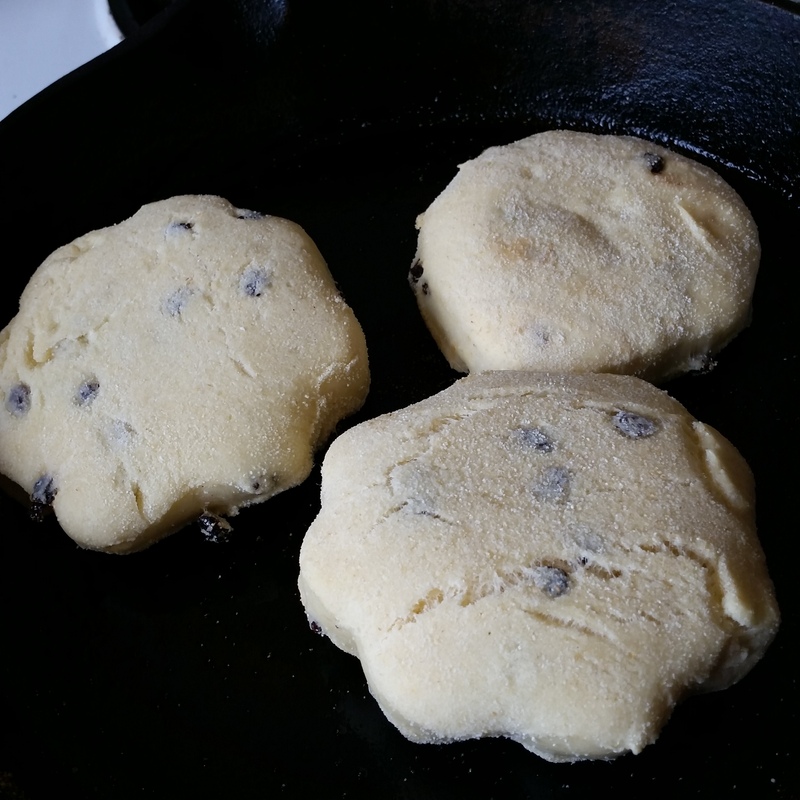 That rough surface makes craters for butter to soak in. 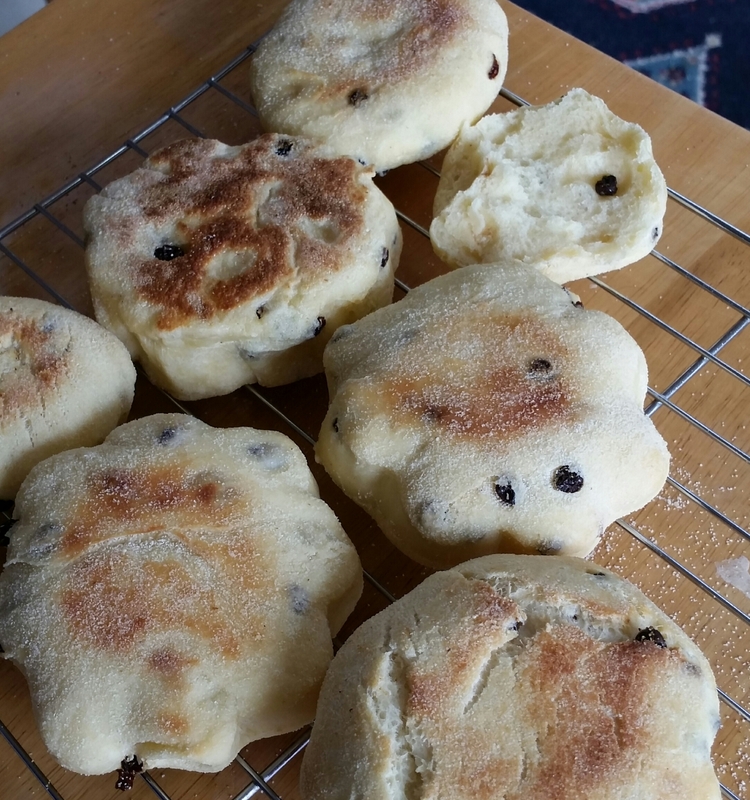 It's true muffins were adapted from the United Kingdom griddle-baked breads like the crumpet and bannock, but the English muffin we recognise today was first made in the USA and exported back to Britain. *for those of you who are fermenters producing milk kefir, I replaced 1 cup of the milk with kefir but didn't heat it as it can easily separate. I did heat ¼ cup of milk with the melted butter to ensure the mix was warm. 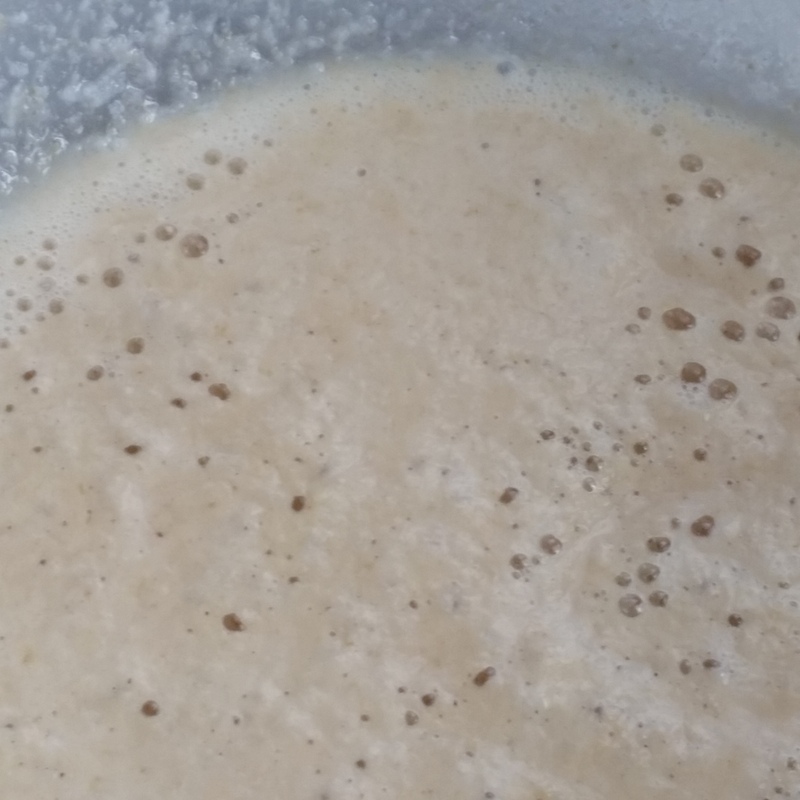 The idea of heating is to ensure the environment is warm for the yeast to activate quickly. I did take the kefir out of the fridge to come up to room temperature before using. Pour the warm water into a small bowl. 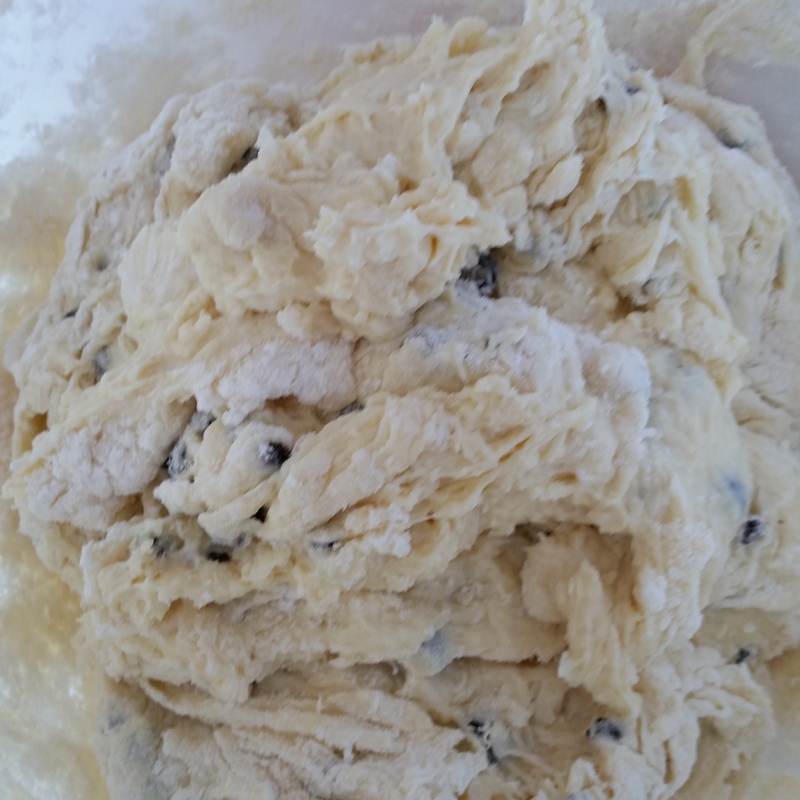 Sprinkle the yeast on top with a pinch of sugar, stir and leave in a warm place until bubbles appear - about 10 minutes. 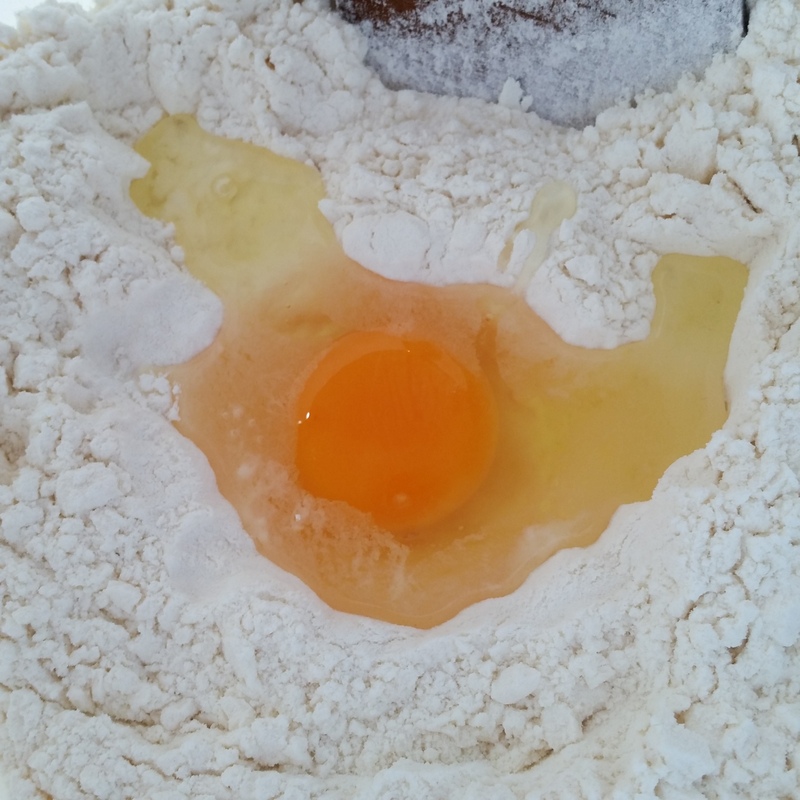 In a large bowl place 2 cups of the flour and 2 tsp of salt and form a well in the centre of the flour. 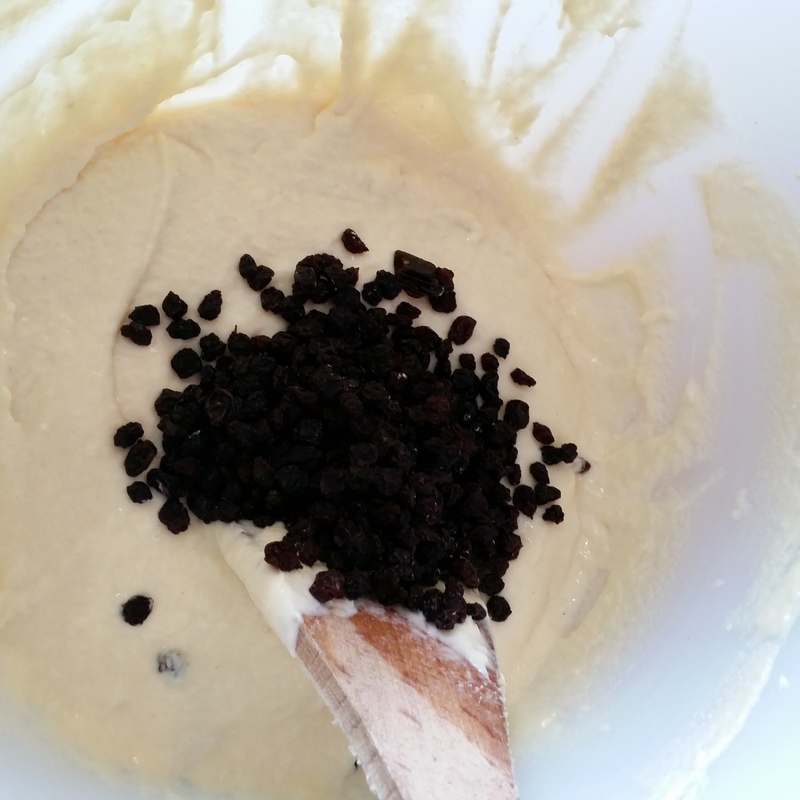 Break in the egg, add milk (or kefir), butter and yeast mixture and beat until creamy, for about 2 minutes. 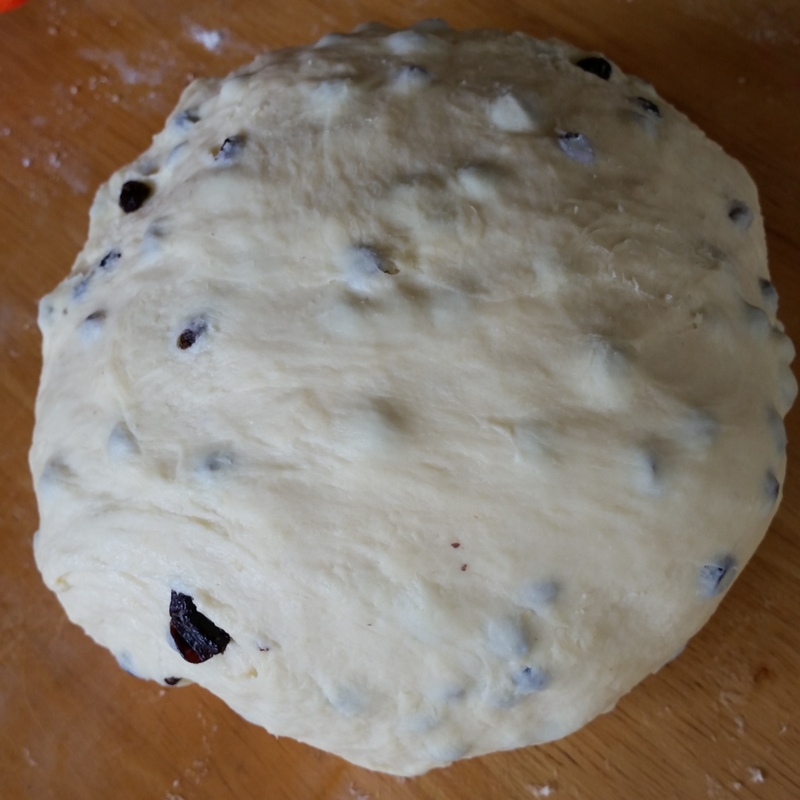 Add the remaining flour, half a cup at a time along with the currants (if using) and mix with a wooden spoon until a soft dough forms that just clears the side of the bowl. Wash clean the bowl and add some olive oil in the base. 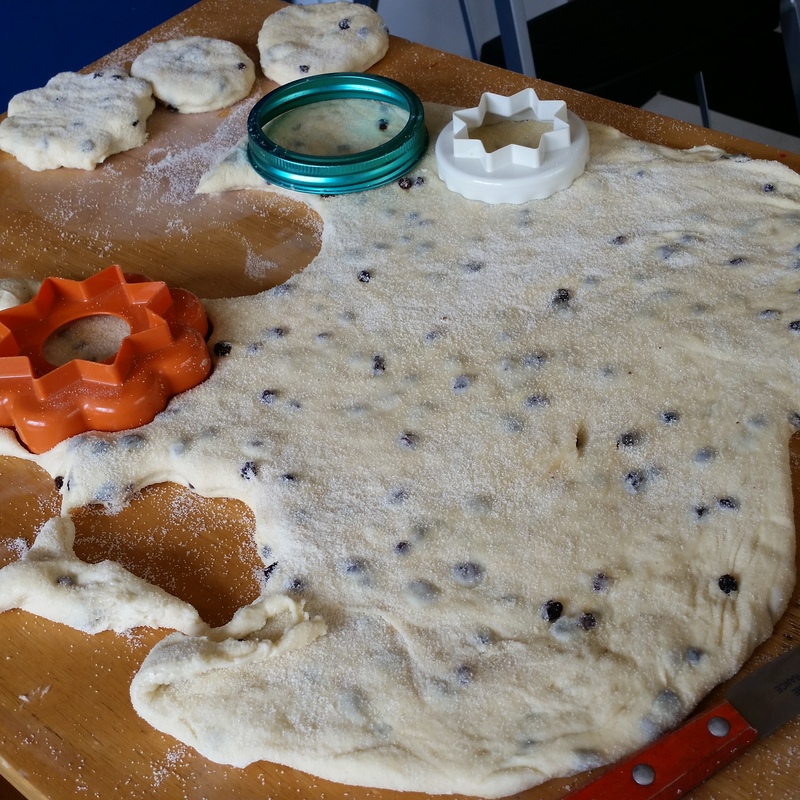 Turn the dough once over to cover with oil and cover the bowl with plastic wrap and place in a warm spot for the dough to double in size. This may take 1½ hours. 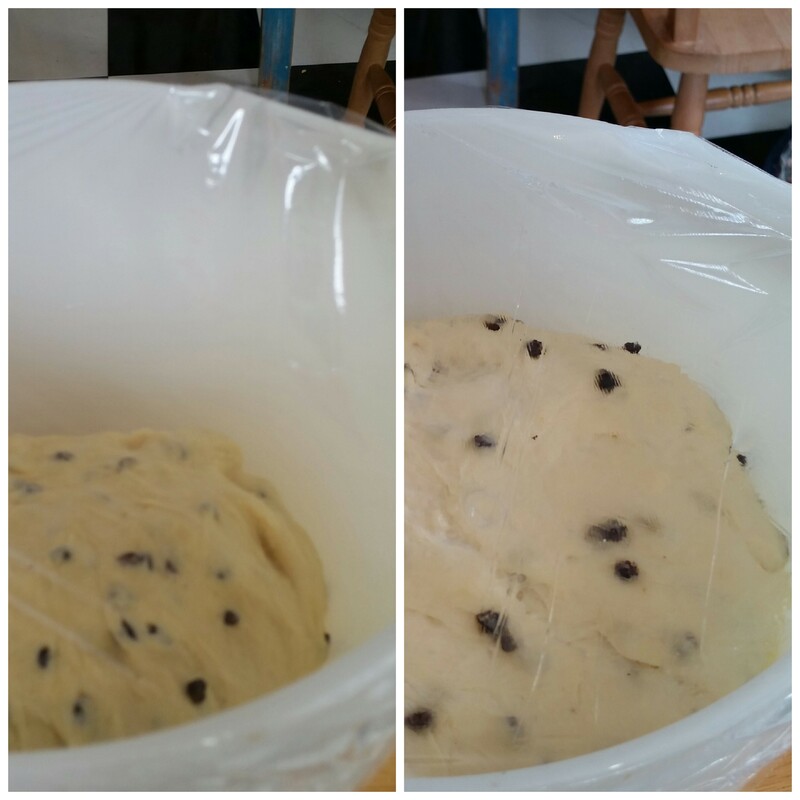 You can see here the work the yeast has done rising the dough - before and after shot. Another handy use for Augustines of Central preserving jar lids - an ideal sized muffin cutter. All the trimmings put together and roll out again. 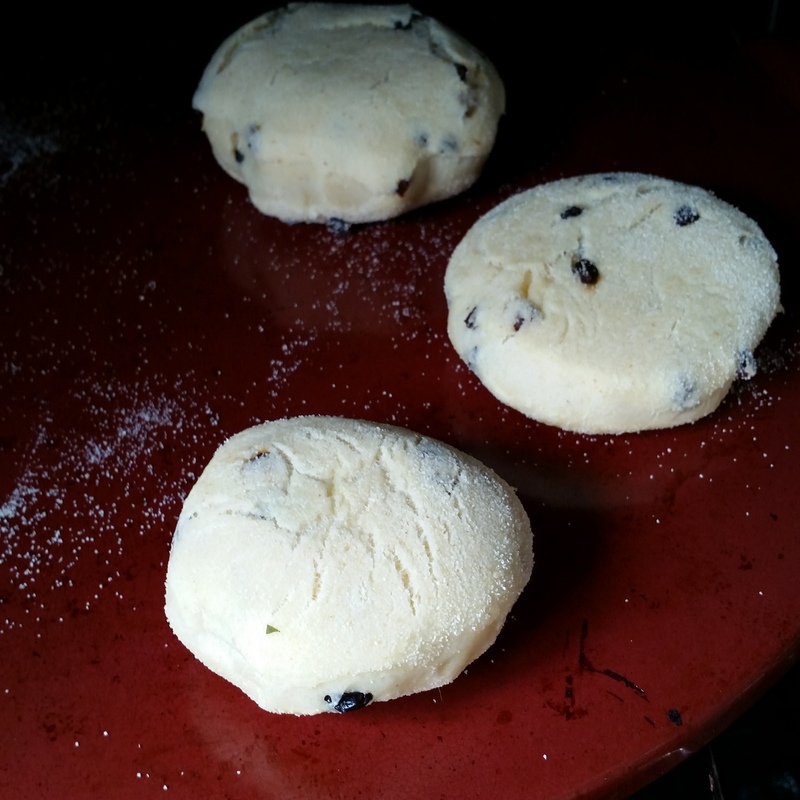 Cover the made muffins with a cloth or if its really warm in the kitchen put them in the fridge until ready to go on the skillet or oven to avoid them getting too puffy. Beth didn't suggest the pizza stone - it was something I thought may work as the griddle or girdle in Wales was originally stone. I didn't spray the stone with oil but I did the pan where I finished them off to give them that brown crust. 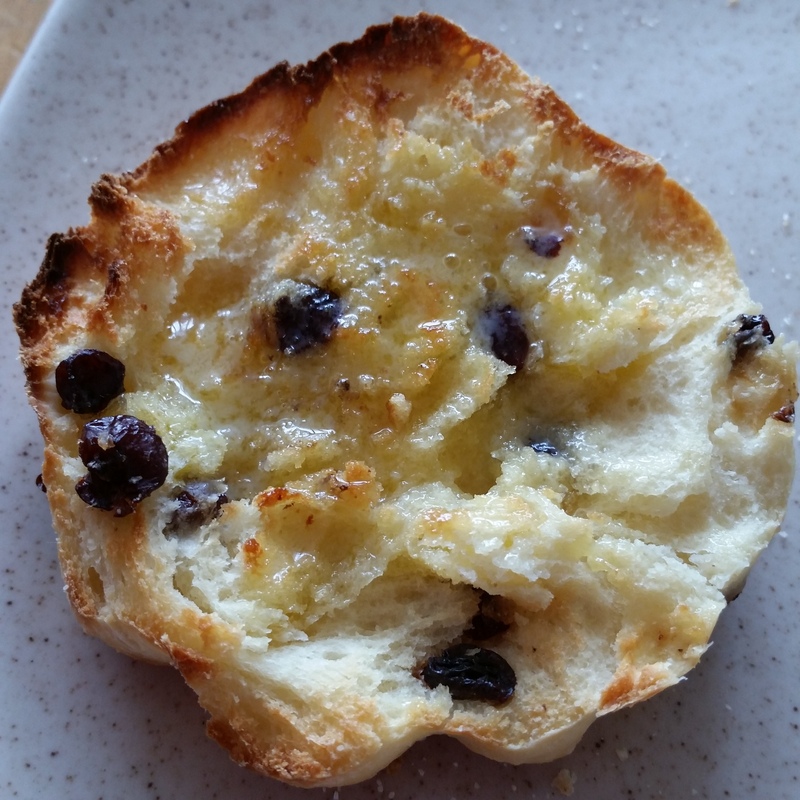 It may be a cheats way but I did ensure the interior of the muffin was cooked without the exterior being too crusty. This is the first one cooked completely on the stove top. It's a little too crusty I think. The early American settlers didn't have the luxury of using an oven when they began making this bread. I'm sure they got very good at ensuring the griddle was not too hot so that the muffins cooked through without burning on the outside. 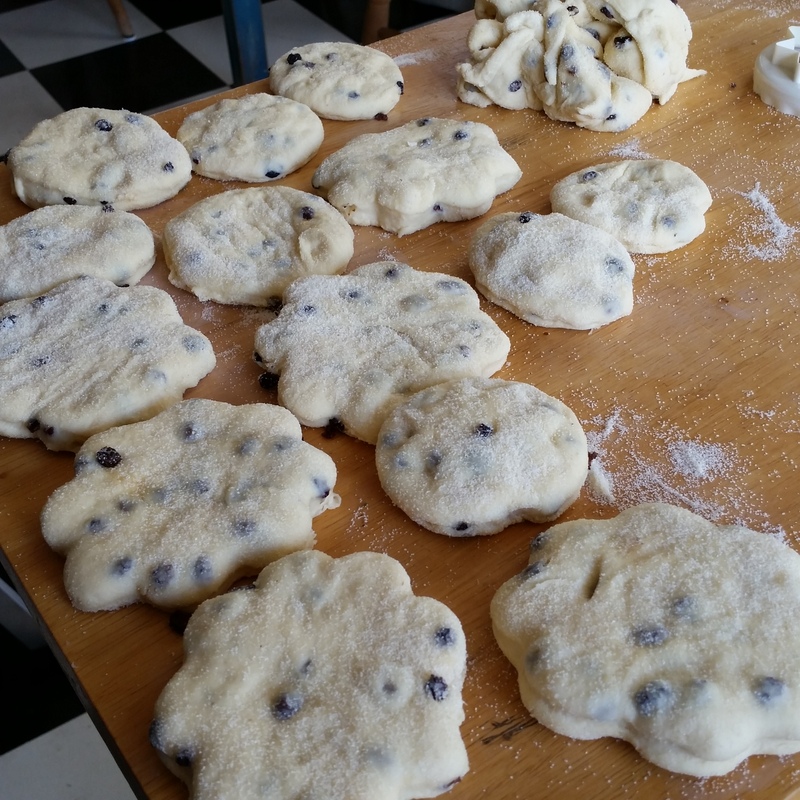 Today we are so often time poor, so baking that takes too long doesn't get made. Using a pizza stone in the oven and finishing off on the top I think is the best compromise.